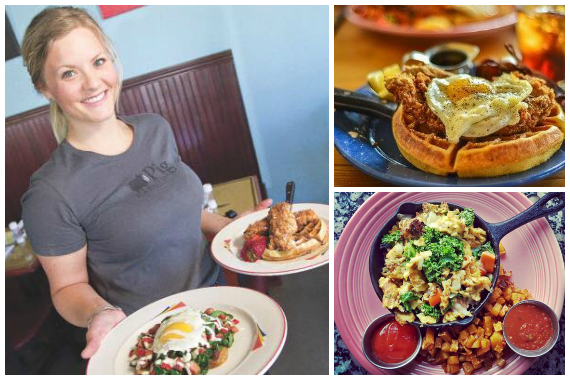 A modern, Southern comfort food diner, Pig & A Jelly Jar serves up breakfast or lunch all day long, 7 days a week. Stop by the Pig locations in SLC or Ogden! "What's the most delicious photo you've ever captured at our place?" "Nothing brings people together like a good meal." "Our customers quickly feel like family." "Do yourself a flavor and try our PBR Mary -- cheers!" The chicken and waffles is unbelievable!!!!!!! You have to put the hot sauce on it! Yes, I'd like to receive news from Pig & A Jelly Jar Salt Lake City. Sign up for the Pig & A Jelly Jar Salt Lake City Newsletter!